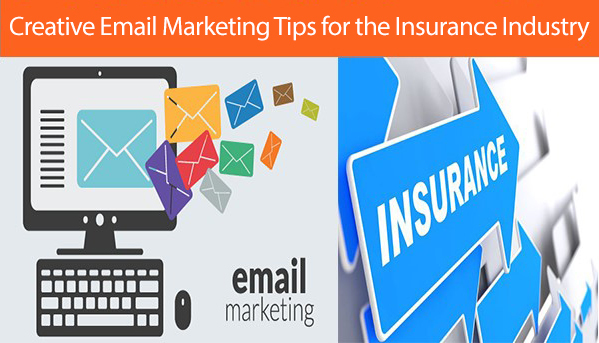 In addition to steering client acquisition, email marketing is an excellent vehicle for insurance marketers to retain customers and boost loyalty. Often, you will find a mailing list for insurance agents that will give you an in-depth data profile about potential customers for your company. Insurance marketers nowadays are always trying to collect data to help them sell policies. However, more often than not, marketers forget to ask, “Am I grouping the proper data?” if it doesn’t offer any insights into who your audience is, data is, well just information. It clogs up your marketing systems, and wastes more time and resources. Your acquisition budget should be centered on understanding your audience through a mix of your internal client and prospect data, as well as third-party demographic data. Internal data: This data might include something sitting in a data warehouse, client relationship management system, or alternative sources that haven't been integrated into your marketing database. Samples of internal data embody client service records, transactional data, credit card purchases, or email. Consumer demographics: We mix and supply these data sets to compile client insights like age, gender, and income. Data is also collected from sources like public records, phone directories, Census data, client surveys, and other proprietary sources. Demographic data selects include date of birth, home ownership, occupation, gender, estimated financial gain, age, telephone number, credit card, hobbies, language spoken, purchase behavior, lifestyle interests, the presence of children, and investments. An average of 30% of subscribers change their email addresses annually. You may have a large list of prospects and customers — you know their names, where they live, but you don’t have an email address on file for them. By using an email append service, you can add these missing email addresses to your client base. Your client records, that presumably already include names and postal addresses, are matched against a third-party database to supply a corresponding email address. One of the most typically ignored parts of email marketing is email validation and verification. When sourcing new email addresses, an honest email append provider will run these addresses through a validation and hygiene process to confirm your newly acquired emails are clean and deliverable. These validation methods identify the addresses that may be related to spam-traps, role accounts, hard bounces, invalid mails and/or domains, complainers etc. This method also removes duplicate emails and corrects data format errors. List segmentation is all about getting customized emails into inboxes of likely prospects. These segments can be as large or as small as you would like, however, the more targeted the segment, the more concentrated your audience will be for targeting the right people. Email segmentation doesn’t have to be a daunting task — even identifying your last point of contact is a start. The most successful email marketers understand the importance of using data to drive targeted campaigns. Information about each of your client interactions should be combined into one consolidated client view. Any range of segmentation strategies will then be applied to form hyper-targeted lists. For example, you can use data like credit scores, financial gain, and products of interest to create targeted segments for specific product offers. These segments will then be more refined by other demographics and data selects, like age, for example. A marketing message geared towards millennials should be worded differently than one geared towards Gen-Xers or Baby Boomers. Prospects and customers are rather more apt to respond to a personalized message specific to their interests, and would be much more likely to delete one that has no connection to their interests. There is a chance that consumers could reach out to your company for a quote, and many times this means they are in the early stages of the buying cycle. They may simply be looking for your company for future thought, might have additional information and need assistance, or perhaps they are reaching out able to purchase. 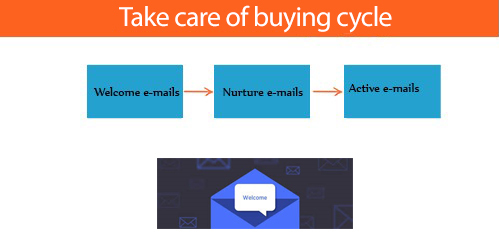 Consumers who request information from website by providing their emails are in the early phase of the buying cycle. The first thing to do is send them a welcome email to set the tone, customized with their first name to make it personal. An email enhancement provider will give you extra demographic details so these prospects are pinpointed for your specific product or service. These emails should give content and show subscribers what your agency has to offer in terms of products, value, services, etc. Nurture emails should be focused on getting the subscriber to complete an action like filling out a free quote or contacting an agent. These emails should be sent after an email subscriber takes a particular action that indicates he or she is prepared to buy, like filling out a free quote form on your website. The goal should be to induce the prospect to the successive stage — buying a policy. Use these emails to produce additional information, targeted promotions, or additional details about the policy they’re interested in. Marketers who leverage data analytics to spot customers in a state of modification significantly increase the likelihood of achieving a new client by reaching out at the right moment. Once analytic tools indicate changes in their state in life or assets, targeted emails can be sent when the moment is right.